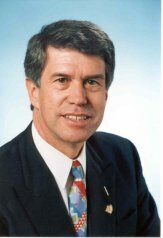 Elected to the Thirty-third Parliament for East Metropolitan Region from 22 May 1989. Re-elected 1993, 1996, 2001 (for term commencing 22 May 2001). Retired 21 May 2005. Minister for Health; Consumer Affairs: 16 February 1993 - 10 February 1995. Minister for the Arts: 16 February 1993 - 22 December 1999. Minister for Fair Trading: 3 November 1993 - 21 December 1995. Minister for Water Resources: 10 February 1995 - 21 December 1995. Minister for the Environment: 10 February 1995 - 9 January 1997. Attorney General; Minister for Justice: 21 December 1995 - 16 February 2001. Shadow Minister for the Arts; Tourism: 24 May 1992 - 24 November 1992. Coalition Shadow Minister for the Arts; Tourism: 24 November 1992 - 16 February 1993. Shadow Spokesperson for the Attorney General; Forestry: 9 March 2001 - 31 December 2001. Shadow Spokesperson for the Attorney General; Forestry; Native Title: 1 January 2002 - 21 May 2005. Member, Standing Committee on Legislation: 16 May 1990 - 16 December 1992. Member, Select Committee on State Investments into Rothwells, PICL and WAGH: 28 September 1989 - 30 May 1991. Chairman, Select Committee into Government Surveillance: 27 November 1990 - 13 June 1991. Member, Select Committee on Limitation of Professional and Other Occupational Liability: 27 November 1991 - 6 March 1992 (committee ceased on the prorogation of Parliament). Reappointed 17 March 1992 - December 16 1992 (committee ceased on the prorogation of Parliament). Reappointed 10 August 1993 - 22 January 1994. Chairman, Select Committee on a Matter of Privilege relating to the Easton Petition Presented by Hon. John Halden: 11 November 1992 - 16 December 1992 (committee ceased on prorogation). Chairman, Select Committee on a Matter of Privilege relating to the Non-compliance of Brian Easton with an Order of the House: 9 August 1994 - 15 December 1994. Member, Select Committee on a Matter of Privilege relating to Documents held by the Royal Commission into the Use of Executive Power: 6 September 1995 - 5 December 1995. Chairman, Select Committee on the Reserves (Reserve 43131) Bill 2003: 27 June 2003 - 18 November 2004. Born 24 March 1946, Weston-super-Mare, Somerset, England. Arrived in Western Australia 1946. East Metropolitan Region includes the Legislative Assembly electorates of Armadale, Ballajura, Bassendean, Belmont, Darling Range, Midland, Roleystone, Southern River, Swan Hills and Thornlie. Enrolment (14 December 1996) 247,444; area 3,821 sq km.